The company that today settles the lion’s share of U.S. securities is moving its flagship blockchain project out of the testing phase. Revealed in an exclusive interview with CoinDesk, the DTCC reports that it has completed an early version of a blockchain that could one day support the trade of $11 trillion-worth of credit derivatives. The milestone signifies a major development for the financial infrastructure provider, one that also marks a continuation of the largest effort yet to adapt an existing financial infrastructure to a blockchain. First revealed in January, the goal of the project was to upgrade the infrastructure underpinning the DTCC’s centralized Trade Information Warehouse (TIW) for over-the-counter derivatives, reducing the time it takes to clear derivatives trades from weeks (in some cases) to nearly instantaneously. To do that, the DTCC partnered with computing giant IBM, enterprise blockchain consortium R3 and venture-backed blockchain startup Axoni. Now, with such a large-scale implementation complete, the partners are are turning their attention to testing it, and preparing it for migration of the TIW data in a compliant way. Ahead of a scheduled launch the DTCC’s chief technology architect Rob Palatnick sought to frame any obstacles ahead as a sign of progress. For the first time publicly, Palatnick also revealed that Axo’s AxCore protocol was originally derived from the public ethereum blockchain, and that the DTCC’s system uses the same Solidity smart contract language that powers its applications. However, AxCore has been modified to include a modular consensus mechanism that lets it tailor services to the specific needs of the DTCC, as well as submit real-time reports to both regulators and other counterparties. “This is a huge improvement in situational awareness for individual firms, regulators and the industry as a whole,” an Axoni representative said. And, unlike ethereum, the DTCC implementation of AxCore does not include a token – though both Axoni and Palatnick confirmed the system is still powered by a form of “gas,” implying a parallel to the way transaction fees are paid on the ethereum blockchain. While ethereum is the most-widely used blockchain protocol for developing these enterprise-grade implementations, the DTCC said complications still arose. For one, ethereum’s business logic is not as sophisticated as DTCC required – primarily in that Solidity has difficulty recognizing decimals, which was deemed necessary for the project. Early on, to address that, the DTCC thought much of the actual business processes workflow would need to be conducted “off-chain,” largely reducing the role of the blockchain itself to storing settled data. In this way, “we wouldn’t do a lot of the business logic in the smart contract language itself,” Palatnick said. But after several months of building, the developers discovered they were actually introducing more complexity by conducting this workflow off-chain than they were removing by using a blockchain in the first place. “We ended up backtracking and moving a lot more of the business logic on-chain,” Palatnick said, noting that figuring out what information needs to go on-chain and what processes must happen off-chain was a challenge. This behind-the-scenes work is scheduled to go live in the first quarter of 2018, if all goes to plan. But before then, additional tests and a series of integrations – both with the TIW itself and external parties – need to be executed. 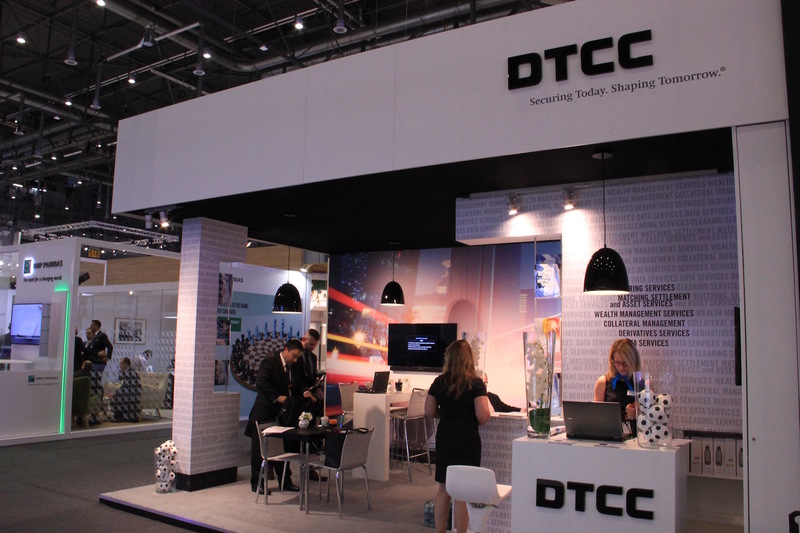 Currently, the DTCC is working with regulators to align Axoni’s built-in reporting database with regulatory requirements. According to Palatnick, the reports have to be as good as existing ones, but will be available on a continual basis as a result of the smart contract functionality. Additionally, the DTCC is working with R3 and its network of over 100 global financial institution members to learn from standards-making bodies how to create “standards around what data should look like on a distributed ledger,” he said. Following the launch, Axoni intends to open-source the Axcore protocol. Disclosure: CoinDesk is a subsidiary of Digital Currency Group, which has an ownership stake in Axoni.